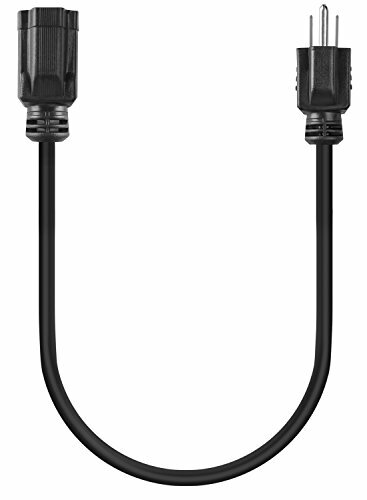 Fosmon's power extension cord is the perfect solution to extend the length of short power cords. They are compatible with everything from small appliances and electronics to office equipment, medical equipment, vacuum cleaners, electric tools and many other products. The 3 conductor 16AWG wire is rated for 13 amps and up to 125 volts. Premium-grade PVC jacket and color coded PVC insulation. Flexible cord with fully molded strain relief connectors provide long life and durability. SJT type extension cords are designed for use with small appliances and electronics to office equipment, medical equipment, vacuum cleaners, electric tools and many other products. Rated to 60°C and 300V.